Had gun controllers’ proposed rules been in place, they would not have prevented America’s recent high-profile mass shootings. It certainly is. But this gets at the heart of the deeper problem of the American gun control debate, a problem that is both persistent and pervasive: the legal measures the gun control movement generally seeks would be almost completely ineffectual at curbing U.S. gun violence. It is difficult to overstate this. The big players in the gun control movement—the Democratic Party, the Brady Campaign, the Coalition to Stop Gun Violence, whatever tax shelter Mike Bloomberg is currently chairing—all tend to espouse the same legislative ambitions for gun control, yet these would be effectively useless at stopping both mass shootings and lower-profile gangland and domestic incidents of gun violence. I do not support this useless and pointless gun control. And I do not trust the people who advocate it. As Cooke points out, over the past 20 years or so, Democrats have lobbied aggressively for several gun control provisions: that private sales should require background checks; that certain firearms with certain cosmetic features should be classified as “assault weapons” and subsequently banned; and that magazines capable of holding more than 10 rounds of ammunition should be outlawed. These aims largely align with the desires of the wider gun control community. Various groups also demand, say, that convicted domestic abusers be prohibited from purchasing firearms (they already are) and that Internet gun sales be subject to background checks (they already are). These are the general aspirations of the gun control movement, and you can readily expect that, after every serious shooting, these demands will be remade, recycled, and reiterated. There is just one problem with these impositions: they have almost nothing to do with gun violence in America. Had these proposed rules been in place, they would have had virtually no effect at preventing America’s recent high-profile mass shootings. At Sandy Hook, for instance, the killer murdered his mother and stole her firearms. No amount of background checks would have prevented such a thing. The primary rifle he used, meanwhile, was a common .223-caliber weapon not even outlawed by Connecticut’s then-current “assault weapon ban.” And while the killer did indeed use large-capacity magazines in his rifle, it is doubtful that a ban on such equipment would have made much difference. It honestly does not take that long to switch out empty mags, and a determined shooter can do it very quickly. Or consider the Islamist killers who perpetrated the San Bernardino shooting in late 2015. One legally purchased the two handguns used in the attack, passing a background check. A friend of the shooter, meanwhile, purchased the rifles they used in a “straw purchase,” and the guns were modified in such a way as to be illegal under California law—as good an indicator as any that silly cosmetic “assault weapons” bans do not work at all. Name a mass shooting in America over the past 20 years or so and you’re likely to find one of two factors: either the shooters obtained their weapons legally, in which case the popularly proposed legal remedies would have made no difference, or they obtained their weapons illegally, and in a manner that the popularly proposed remedies would not have affected. Put another way: in virtually every shooting incident that gun controllers cite as evidence of the need for more gun control, the gun control they demand would not have stopped the shooting. It would be tantamount to Mothers Against Drunk Driving demanding stricter government inspection standards for windshield wipers in an attempt to prevent drunk driving incidents: it would accomplish nothing. The same is true for the more run-of-the-mill gun violence that plagues a fair number of American cities and urban areas. It has been known for some time that criminals do not, as a rule, get their guns legally. 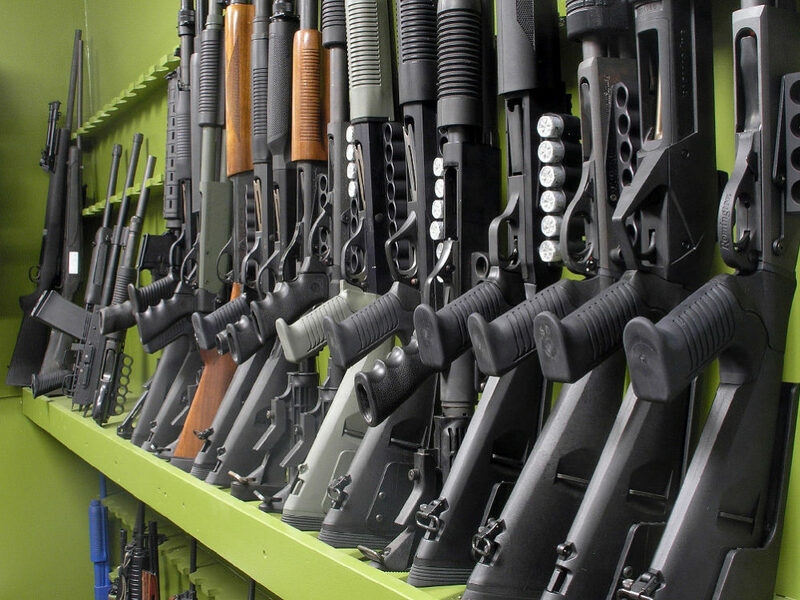 The types of new rules gun controllers often propose—expanded background checks, say—would thus have very little effect on American gun violence. Yet gun controllers would have us believe that, with the passage of a universal background check bill, murderous thugs and gang members would suddenly decide of their own volition, “Gee, I guess I’d better get my firearms through legitimate channels from here on out!” This is a thoroughly improbable scenario. With all of these considerations, I oppose all of these proposed laws for the same reason millions and millions of other gun rights advocates oppose them: because they would place additional burdens and restrictions on law-abiding gun owners while doing nothing to prevent criminals from acquiring and using firearms. So we are left with this question: if their proposed remedies would be so obviously and demonstrably unlikely to solve the very problems they claim to intend to solve, then why do gun controllers keep advocating these ridiculous and counterintuitive laws? The answer is not hard to see. Gun control advocates, like most political actors, are pragmatic and practical. They understand that certain legislative goals and ambitions must play out over a period of time rather than in a political instant. You can see this type of long-game strategy in, say, the American health-care debate: after seven years of Obamacare, Democrats are increasingly pursuing single-payer, something that was much less feasible before the Affordable Care Act. Indeed, Sen. Harry Reid has explicitly stated that Obamacare is intended solely to be “a step in the right direction” towards single-payer, nothing more. So it is with gun control: liberals propose these useless laws and regulations not in an attempt to honestly curb gun violence but rather in a long-form attempt to pass other laws down the road. It will be much easier to ban large classes of semiautomatic rifles, after all, after five or ten years of banning scary-looking AR-style “assault weapons.” It will be far easier, too, to sharply restrict firearm purchases after a decade of regulating ammunition sales, the latter of which will soon begin in California. This doesn’t have to be some grand conspiracy theory or dark, shadowy intrigue. Gun controllers are not stupid. They understand long-form political action as well as anyone. They do not like guns and they are more than patient enough to play the drawn-out politics necessary to curtail American gun rights. This is why I oppose these perennial gun control efforts and deeply mistrust the people who advocate them. To be fair, I get it: if the situation were reversed, and I were starting from a legal position in which gun rights were severely restricted in this country, I would play the same game if necessary. It’s the smart thing to do. But our Second Amendment rights are too precious and hard-won to allow them to be chipped away by slow and deliberate political strikes. Every worthless gun law passed today will give way to a slightly more restrictive law several years from now, then one more after that, and another after that. Gun controllers are welcome to play this game, of course. But we should be prepared to head them off as early as possible. They understand the stakes, and they understand how to get what they want. So should we.